A programme that supports families with young children facing external stress helps to improve mothers’ mental health and parenting confidence, a study shows. The observational study evaluated the Mellow Parenting programme, which helps at-risk families with complex needs. 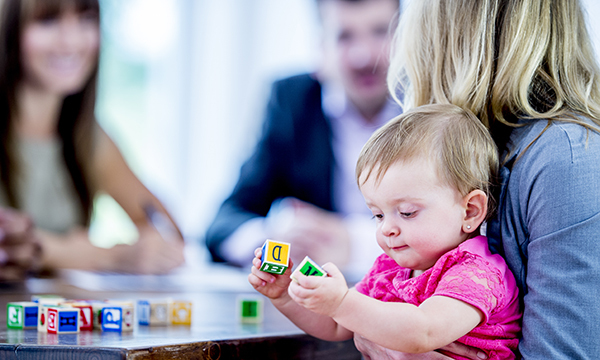 The programme is multi-modal, guided by attachment theory, social learning and cognitive behaviour theory. Information was collected on 183 mothers and their children over a 21-month period. Some 60% of the women had a history of mental health problems and 90% of the children were aged under three. Questionnaires were used to gather data before and after the programme, covering maternal mental health, parenting confidence and stress, and child behaviour. The study found that on average the women attended ten of the 14 weekly sessions in the programme. Those with a history of mental health problems and those who were younger had a higher attendance. Although participation improved the women’s mental health and parenting confidence it did not affect daily parenting stress indicators. Mothers without a partner benefited less in terms of mental health and parenting confidence than those with a partner. Among the children, participation in the programme was credited with improvements in conduct, but not in their psychosocial behaviour overall.